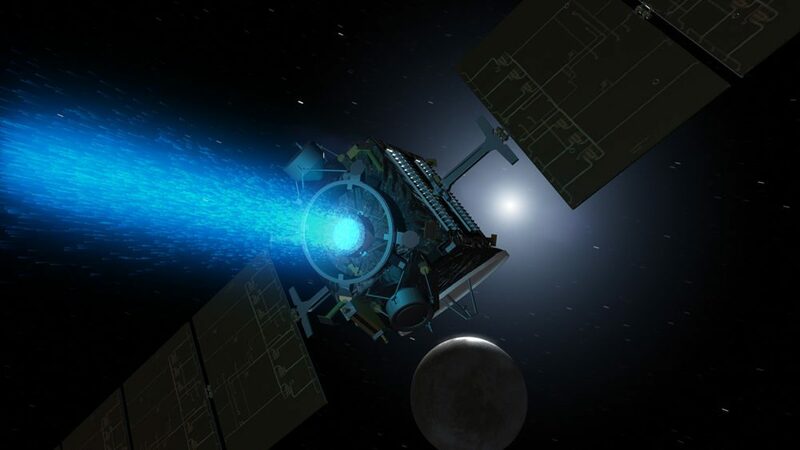 The DAWN dwarf spacecraft using futuristic ion engine fly between asteroid Vesta and the dwarf planet Ceres. 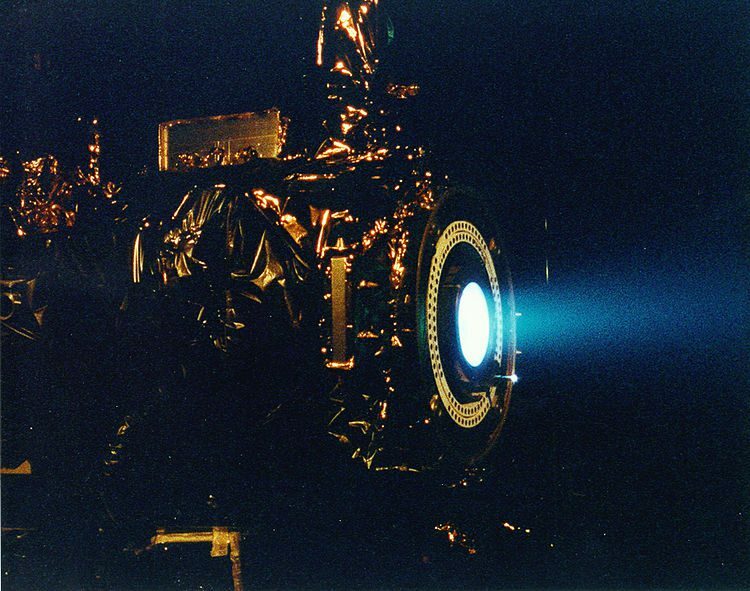 The ion thruster is a form of electric propulsion, used for spacecraft propulsion. It creates thrust by accelerating ions with electricity. Ion thrusters are categorized by how they accelerate the ions, using either electrostatic or electromagnetic force.Electrostatic thrusters use the Coulomb force and accelerate the ions in the direction of the electric field. Electromagnetic thrusters use the Lorentz force. In either case, when an ion passes through an electrostatic grid engine, the potential difference of the electric field converts to the ion’s kinetic energy. Courtesy of https://en.wikipedia.org. Courtesy of Elizabeth Howell, Space.com Contributor.